The International League released its roster for the 2010 Triple-A All-Star Game to be held on July 14. The roster consists of three Bulls as well as manager Charlie Montoyo to lead the team. Joe Dillon, Dan Johnson and Elliot Johnson will represent the International League. Dillon is hitting .295 with an on base percentage of .352 with 16 doubles, 5 home runs and 3 stolen bases in 51 games this season. Dillon was acquired by the Rays in 2009 and has spent the last two seasons with the Bulls with a 15 game stint with the Rays last season. Dan Johnson is the league leader in RBI's and is hitting .297 with a .577 slugging percentage. He has hit 18 home runs and drove home 63 RBI's so far this season. He was drafted by the Oakland Athletics in 2001 and signed by the Rays as a free agent in 2010. Elliot Johnson is hitting .282 on the year with an .342 on base percentage. Johnson has 11 doubles, 2, triples and 5 home runs while stealing 19 bases this season. This is his third all-star nomination, being a part of the 2005 California League All-Star and the 2006 Southern League All-Star squads. He was signed by the organization as an undrafted free agent in 2002. 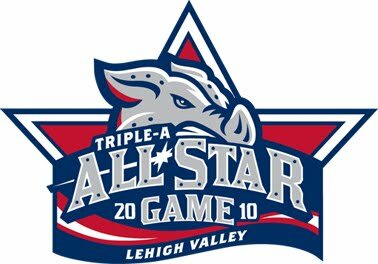 The 2010 Triple-A All-Star Game will be held on July 14 at Coca-Cola Park, home of the Lehigh Valley Iron Pigs. Nope. I double checked the roster and he was not on it. Don't quite understand it. Hellickson and Jennings are members of the US team in the Futures Game, which is played July 11th in Anaheim. The IL All-Star game is July 14th at Lehigh Valley. I imagine travel would be an issue, plus Hellickson probably couldn't pitch in both games anyway. So I guess representing the US in the Futures Game is more important than Durham in the IL All-Star game. Seems like they could still name him and then replace him on the roster like they do for guys who are injured or are promoted to another league. Yeah, but they should have atleast nominated him for the recognition. They nominate people all the time that are not able to play due to promotion or such. Agreed, see my last sentence. Not that he cares, but an IL A-S team without him at least being named and replaced is a joke. One note, I haven't checked, but prehaps there is some rule about Futures Game members not making All-Star teams they can't play in. I doubt it, but I haven't looked at the two rosters for the Futures Game and compared them to the AAA and AA A-S rosters in the varios leagues to see if any others made both. If anyone has some time to kill, I'd be interested to see if others in Jeremy's situation have made their league's All-Star roster.